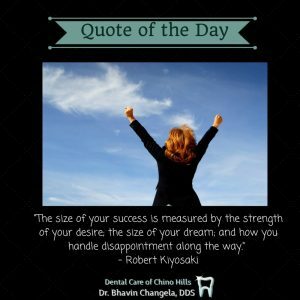 Quote: The size of your success is measured by the strength of your desire..
Chino Hills Cosmetic Dentist, Cosmetic Dentistry | Dental Care of Chino Hills > Dental Care > Quote: The size of your success is measured by the strength of your desire.. If you want to be successful, you will have to do anything to reach your goals. Even if it means you get a lot of disappointments along your way, what matters is that you are striving and working hard to reach that success you’re longing.